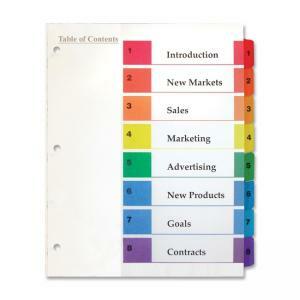 Index dividers are designed for binders. 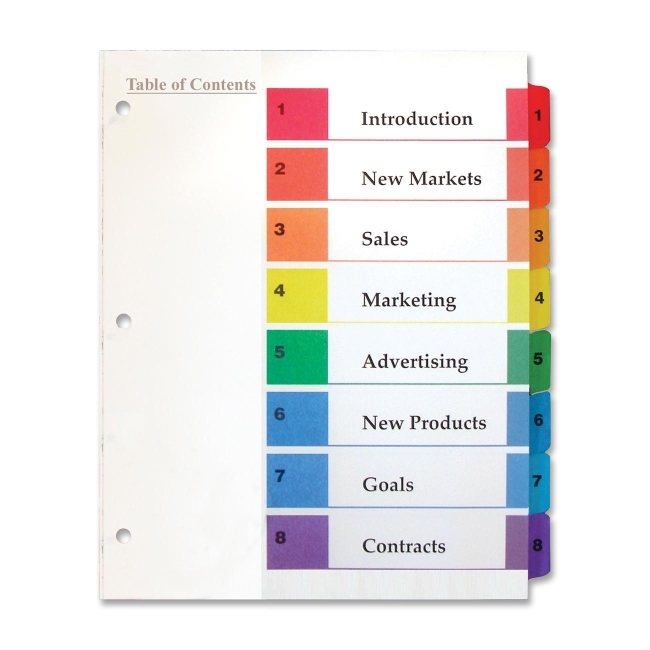 Format includes one index one Table of Contents page and instructions so index dividers allow you to organize multiple binders in a matter of minutes with the help of a laser or inkjet printer, or your copier. Dividers are three-hole punched to fit easily inside standard three-ring binders. Each letter-size divider has a Mylar-reinforced binding edge and Mylar-reinforced, numbered tabs.